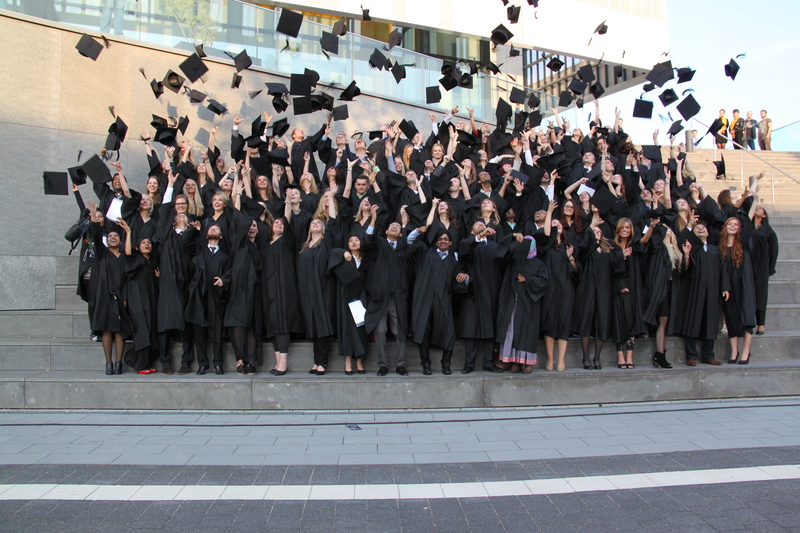 Rhine-Waal University of Applied Sciences wants to keep in contact with its alumni! We invite you to become an active part of our growing alumni community and stay connected to the many peers and professors you came to know during your studies. Stay connected by registering for our Alumni Network. Please use this form to update your information after any changes! Thank you! What does "Alumni" actually mean? Alumni is derived from the Latin verb alere "to nourish" and means former students. The term is not synonymous with "graduate" since one can be an alumnus without graduating.